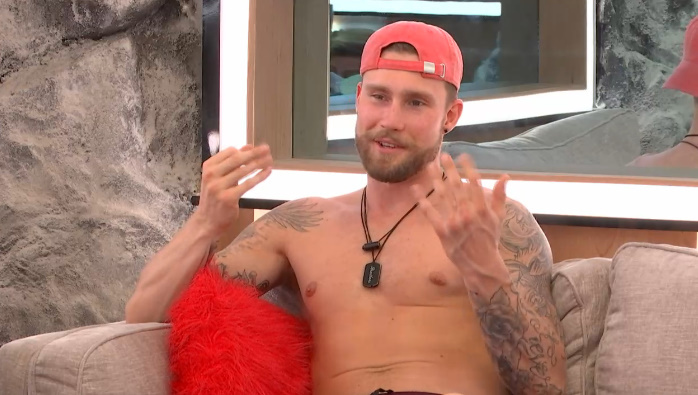 Adam “Listen, if you use it [Veto] & I don’t put Mark up, how stupid does that look?! 9:30pm Bedroom. Mark and Anthony. Mark – do you think they’re going to wake us up in the middle of the night for a POV? I could see them doing that. If you win, I know you’re not using it. Anthony – Ummmm.. Mark – you would use it? Cuz you know they would never put Kyra up. Dane is going to gun for it f**King hard.. even though he said he was going to throw it. He is in DEEP with Esti man. I know it. He already told me what his plan was.. he talked to me about Adam. 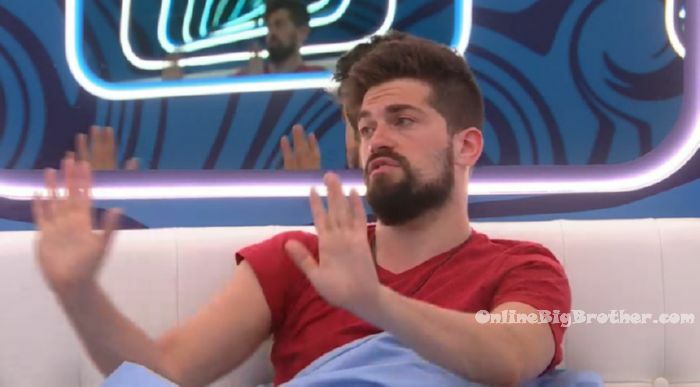 He was like I don’t want to win this HOH the five.. because I want to win this one.. he was saying some bullsh*t and I wasn’t even paying attention. Damien – it might be Mark and Esti though. (Nominations) Dane – yup. I wouldn’t understand how Mark would escape this. Damien – he’s snakey. Dane – how the hell do they come up with games like that? Damien – right?! Dane – are they still talking? Damien – yeah what the f**k are they talking about? Esti… I’ll kill you. Dane – she’s probably sewering me. Dane – yeah. Save her own bacon somehow. I don’t know what she could sewer me about but.. Damien – right.. because I haven’t said Anthony’s name once. Dane – me either. Damien – I told Adam today that if I won, I wouldn’t put him up. So hopefully he remembers that. And I meant it because you know who I would put up .. because I am pretty pissed off about that sh*t.
12:30am Bedroom. Cory and Anthony. Cory – they said so many things about me being terrible to them… and none of it was justified. And they’ve got a bone to pick with you too. They were getting angry .. oh the hypocrisy! Anthony saying to me about campaigning for Sam when he is doing the exact same thing for you. I said I don’t know what Anthony is doing for me .. but chances are he knew about the same thing and he was getting angry that Sam letting someone fight for them where they were willing to just let them throw them under the bus. Well people throw people under the bus all the time! I was like I DON’T! I didn’t do that! Its like they weren’t taking in any of it. I think Kyra is dead set …like trying to convince themselves that they want me out. 9:22pm Backyard. Mark and Anthony. Mark – you know this is the triple right?! Anthony – yeah. Mark – two people are going home. Anthony – yeah. Come, lets go outside. Mark – I know who it was. Anthony – it was Adam wasn’t it. Mark – yup. There is no way Dane would be that easy going. No way. You know by the way that Cory is f**ked right? Anthony – yup. 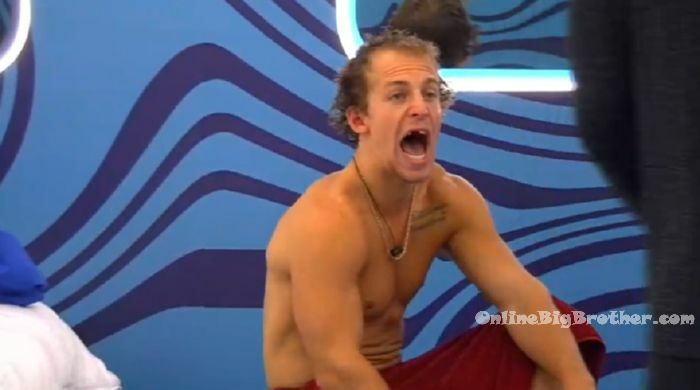 Mark – I’m the tie breaker, Cory is f**ked! Anthony – yup. Dane, Adam, Kyra. Mark – here’s the deal. There is no way.. this has to be the triple. Put three people up and then ones going home and then play another triple and put three people up again? I don’t buy it. 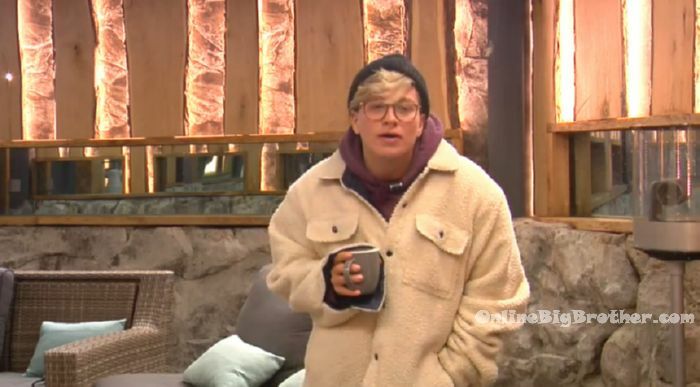 “Power has been found.. three nominees will face eviction.. the houseguest they have chosen to nominate.. is .. Cory ..
Bathroom. Adam, Kyra and Esti. 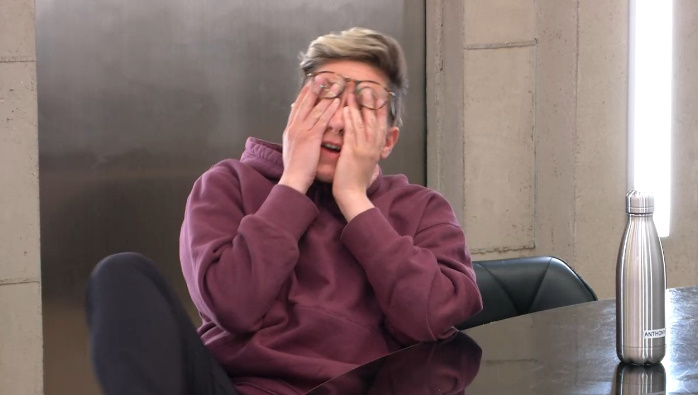 Adam – I can’t believe I won that! I was actually scared. I was frightened to death that I wasn’t going to get that puzzle. Esti – but you were ahead of everyone. Adam – I just always did the boarder first and then it all fit together. Cory joins them. Cory – you were miles ahead. That was a good win! Congrats! Adam – thanks!